THURSDAY, Feb. 21, 2019 (HealthDay News) -- Crippling brain injury from football can start early, even among high school players, a new study suggests. And its effects can last over time, even without additional head impacts, researchers report. 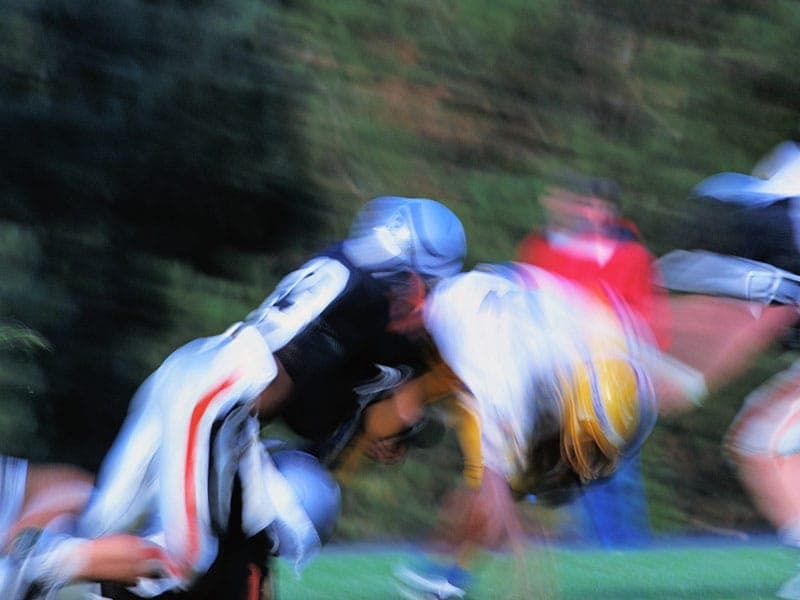 Football players can develop chronic traumatic encephalopathy (CTE) after playing high school football, although higher rates of CTE are tied to college and pro football, the researchers said. "Unfortunately, we found CTE in people who only played high school football and passed away at a very young age," said lead author Dr. Daniel Daneshvar, from Boston University's School of Medicine CTE Center. CTE is a devastating degenerative brain disease found in athletes, military veterans and others with a history of repetitive brain trauma, according to the Concussion Legacy Foundation. It is most prominently found among football players: 110 of 111 deceased NFL players were found to have some form of CTE in a study released in 2017. Among them were Junior Seau, Ken Stabler and Frank Gifford. "We still don't understand a lot about the disease and what causes it," Daneshvar said. But, he added, the findings suggest that CTE is progressive and worsens with age even in the absence of additional head trauma. CTE can only be diagnosed after death by examining brain tissue. For the study, Daneshvar and his colleagues looked at the brains of football players who had died. The study included more than half of the diagnosed CTE cases worldwide. The brains were donated between February 2008 and May 2016. The researchers also surveyed people who had known these men. Autopsies of the brains found signs of CTE in 177, or 87 percent of all the football players in the study. Specifically, it was found in 29 percent of high school players, 87 percent of college players, 71 percent of semi-pro players, 88 percent of Canadian Football League players and 99 percent of National Football League players. The researchers found CTE followed an age-dependent evolution, from small lesions in teenagers and young adults to severe brain damage in middle age. Based on their interviews and surveys, the players also often had cognitive, behavior, mood and motor symptoms during their life, the researchers said. Pro players suffered from CTE at greater rates and died with advanced CTE. They were also more likely to have been diagnosed with dementia, compared with college players. Daneshvar hopes that a way to diagnose the disease can be found while players are alive and can lead to a treatment. What can be said is that CTE occurs in a high percentage of individuals who play contact sports, Daneshvar said. "The brain doesn't care what hits it. We've see CTE in victims of domestic violence, in hockey players, boxers and military veterans. So if you end up getting hit in the head a lot, you're at risk for CTE," he added. One expert not involved with the study said parents of kids who play football should be aware that there may be potential long-term harm. "I tell parents that we don't know what's going to happen," said Dr. John Kuluz, director of traumatic brain injury and neurorehabilitation at Nicklaus Children's Hospital in Miami. "We don't know what effects concussions are going to have on their child, but we should be concerned about it," he said. "We should also keep an open mind, because this study is not definitive," Kuluz added. The results of the study were scheduled to be presented Feb. 21 at the annual meeting of the Association of Academic Physiatrists, in Puerto Rico. Findings presented at meetings are typically viewed as preliminary until they're published in a peer-reviewed journal. The Concussion Legacy Foundation offers more on CTE.